We are facing a potential “perfect storm” in healthcare: a growing shortfall in the number of nurses and primary care physicians needed to care for a rapidly aging population that is also coping with increasing rates of chronic disease. In addition, while all of us can now expect to live longer, we are often more concerned with the quality than the length of our lives. When polled, 82% of seniors expressed a desire to age in place, and to remain connected to the people and places that give their lives meaning. Here is when a video conferencing solution is not enough and does not provide a detailed picture of health status at all times and from all places. Streams vital signs monitoring power of an operating room to the patient anywhere including home or to the most remote locations in the world. Optimizes workflows, improves speed, collaboration, communication efficiency and patient engagement. Engages physicians and nurses with patients that desire to feel connected, healthy and independent. Our HIPAA compliant forms provide an easy and secure way to collect, consolidate, and move patient data through a series of streamlined workflows. 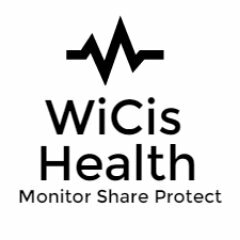 Our Mission is to provide a detailed and accurate picture of a patient’s health status from anywhere and at all times and engage patients with professionals from anywhere. It is now possible to remotely monitor a patient anywhere in the world, in realtime, with the gold standard capabilities established by a hospital operating room. To connect people securely and ensure that HIPPA compliance and security rules are enforced to protect your PHI. Therefore, you can share comfortably your information with medical professionals and to those you love for a healthier, safer and more independent life.